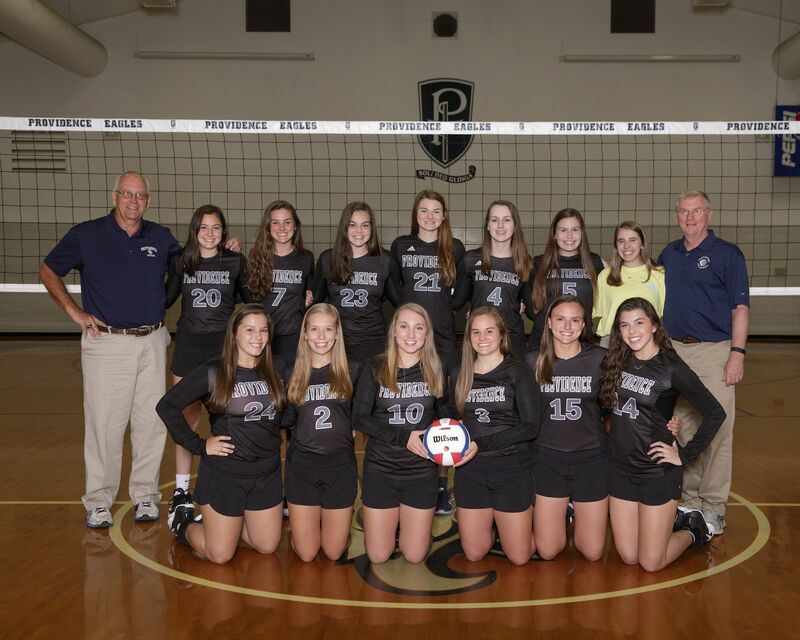 The PCS volleyball program has become one of the most competitive in AHSAA in recent years. The Lady Eagles have made numerous appearances at the state tournament since 2004, with 8 appearances in the state finals, and two state championships. Coach Bill Oldfield describes his goal for the team this way. 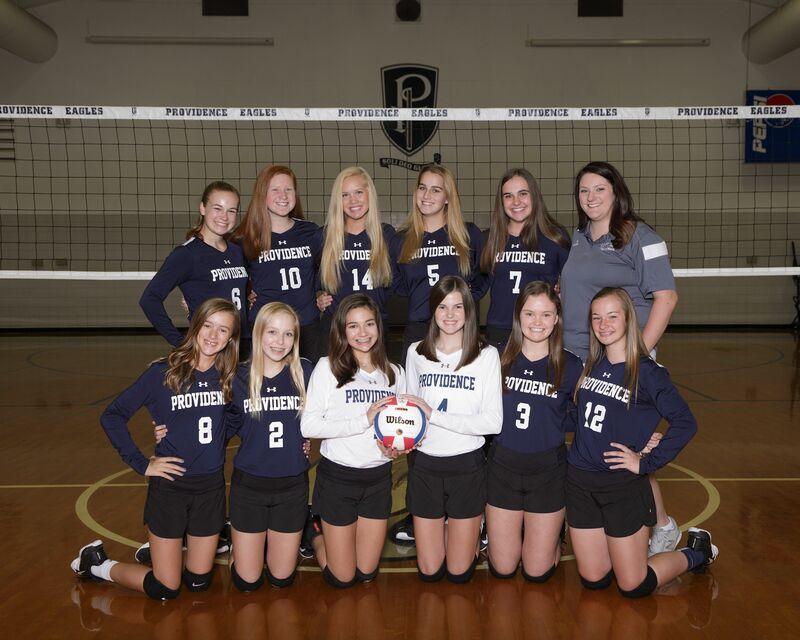 "Providence volleyball is dedicated to Christ-centered excellence. 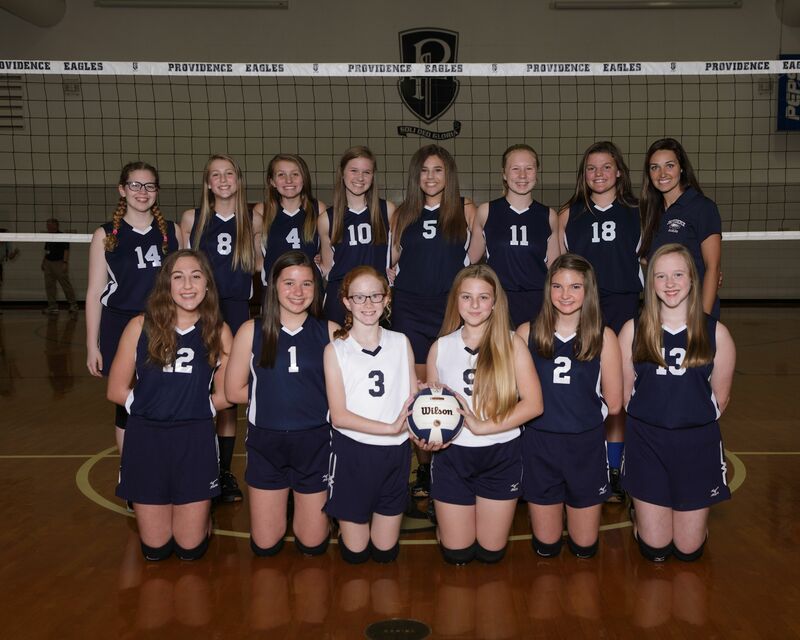 Each player is developed to honor God first and become excellent volleyball players second." One element of Coach Oldfield's recipe for success is investing in young players and building fundamental skills early. At PCS, this is accomplished with the Junior High and JV teams. Younger players earn many opportunities for competitive experience before reaching the varsity level.